No one sets out to get a DUI. In some cases, people that get pinned with a DUI are not drunk. It could be a simple case of you having had one drink and the breathalyzer machine can be calibrated incorrectly. The officer, being human, can administer the test incorrectly. There are quite a few ways for a person to be falsely accused of a DUI. For this reason, it is important to hire a DUI Attorney in Orlando. An Orlando DUI lawyer will know all the ins and outs of the court system pertaining to DUI law. You have every legal right to fight for your reputation, your driving privileges and your life. Getting charged with a DUI can affect every aspect of your life. You can lose your license, get jail time and even lose your job. It can even affect your opportunity to be offered a new job. Whether you are falsely accused or genuinely made an honest mistake, going up against the law without a qualified and experience Orlando DUI lawyer is an even bigger mistake. Orlando’s alcohol legal limit is .08%. Certain medications can affect a breathalyzer test as well as alcohol can. 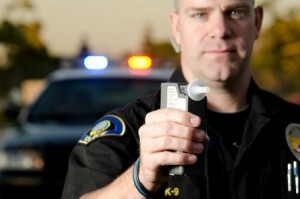 Field sobriety tests can be difficult for the sober, let alone the intoxicated. The state of Florida is very harsh on those who are charged with a DUI arrest. There are so many rules, regulations and possible ways of errors occurring during an arrest, hiring an Orlando DUI lawyer is the best decision you can make to keep you from being falsely accused. DUI cases are difficult cases. A DUI conviction is a misdemeanor, but the consequences will make you feel like you committed a felony. Upon your arrest, you will have your license suspended immediately after your arrest. You will do jail time that consists of at least 8 hours. Provided you had a valid license when you were arrested, you will be allowed to drive for 10 days until you are permitted a review hearing to possibly get your license back. You may also have the option to be permitted a 45 day temporary permit to gain your driving privileges until your hearing. The consequences of your conviction can get you about 6 months in jail, your license suspended for 180 days to a year, up to 50 hours of community service, admittance into the victim awareness program, a fine of $250 – $500 plus all court cost, your vehicle impounded and a possible DUI conviction permanently placed on your record for the rest of your life leaving you with a criminal record. Do not take any chances with your life and freedom. If you find yourself in trouble with a DUI, immediately call a DUI Attorney in Orlando for their expertise. Only a knowledgeable, experienced Orlando DUI lawyer can get you the protection and representation you need to fight for your rights.